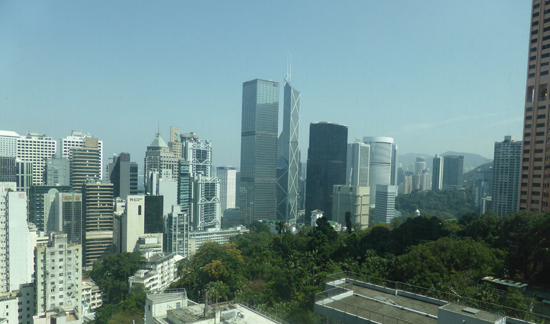 29th February: It was great to be in Hong Kong again and I had school bookings every day for the first week. But first, a radio interview with Phil Whelan RTHK, Radio 3. It was a fun interview. 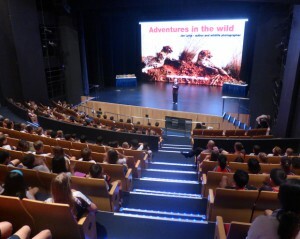 Tuesday 1 March: I was excited to be invited to talk at the fabulous new Harrow International School. The school sits magnificently on top of a hill and can be seen for kilometres. Mary Jones, the teacher librarian, kindly helped me with the videos, while I entertained the students with my adventures in the wild. 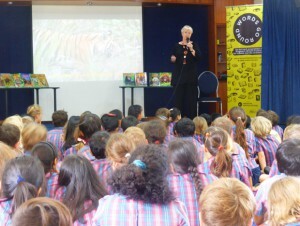 It was a pleasure to talk to the well-behaved Year 1 and Year 2 students. In the afternoon the Royal Geographical Society asked me to give a presentation to Ying Wa College students. Wednesday 2nd: Students at the Evangel College were a great audience during my new video presentations I created last year in the Maasai Mara, in Africa. Thursday 3rd: I woke up and couldn’t speak. Only a squeak and a croak came out. Oh, no! I had four presentations at the YCIS school and was looking forward to talking to the students. Ann Brown, the teacher librarian, and all the teachers were so understanding about my attempts to talk, and a teacher kindly organised a doctor for me. Friday 4th: My voice was a little better and I was confident I could deliver all my sessions. I had three at HK Adventist College in the morning and another at DBS in the afternoon. It was sooo cold and I had many layers of clothes on and felt like a stuffed bear! Saturday 5th: I had a lazy day gathering my strength for the next week talking at the Singapore Literary Festival. Sunday 6th: I flew to Singapore. I love the CX lounge with their healthy carrot, apple and ginger fresh juices. I had two! I arrived at my friend’s home, unpacked and we caught up with news. 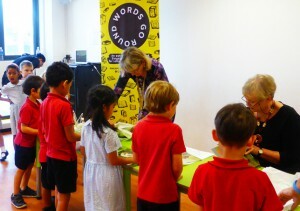 Monday 7th: I had nine sessions today at Tanglin Trust School. The first eight sessions were infants and I was pleasantly surprised when they asked very good questions. Then it was a quick dash with Ben Farr to give a presentation to Year 3 students organised by the wonderful Celeste Fisher. 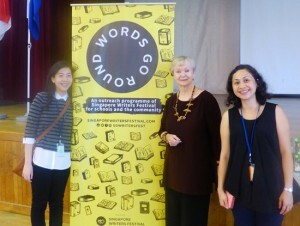 Tuesday 8th: Today I started my school talks with the Words Go Round Literary Festival. 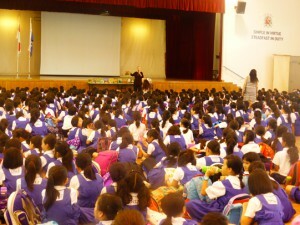 My first presentation at CHIJ Kellock School was a challenge with over a thousand students in the audience. Wednesday 9th: My wonderful festival assistant, Deborah Sun, collected me in a taxi and helped me during the day. 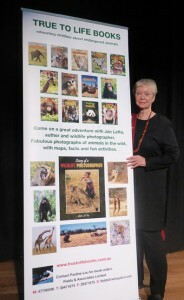 It was great to talk at Dulwich College again and Patricia Chandler was a wonderful help with the book signing. 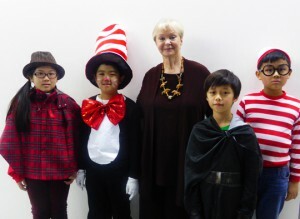 Then to Chatswood East International School where I received a welcome from Helen Robinson. It was great to meet Denise Tan, my new bookseller from a Closet Full of Books. She saw my presentation and said it was a pleasure to sell my books. Thursday 10th: It was an early start and a session at the Blangah Rise Primary School, then to the Rosyth School and finally the German European school. It was great to say hello to librarian Johanna Krijnsen again. Friday 11th: It was special talking at UWCSEA Dover School again where students asked amazing questions. 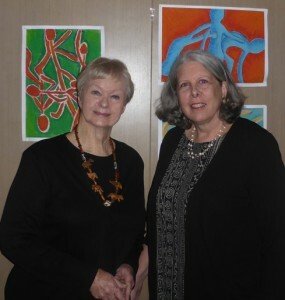 Then, thanks to Jill Gammon, I had the privilege of doing two presentations to students at the fabulous Stamford American School. 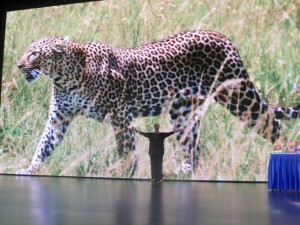 It was such a thrill to talk to thousands of students in the auditorium and see my videos on their gigantic screen. ← Previous Previous post: DISASTER!! !